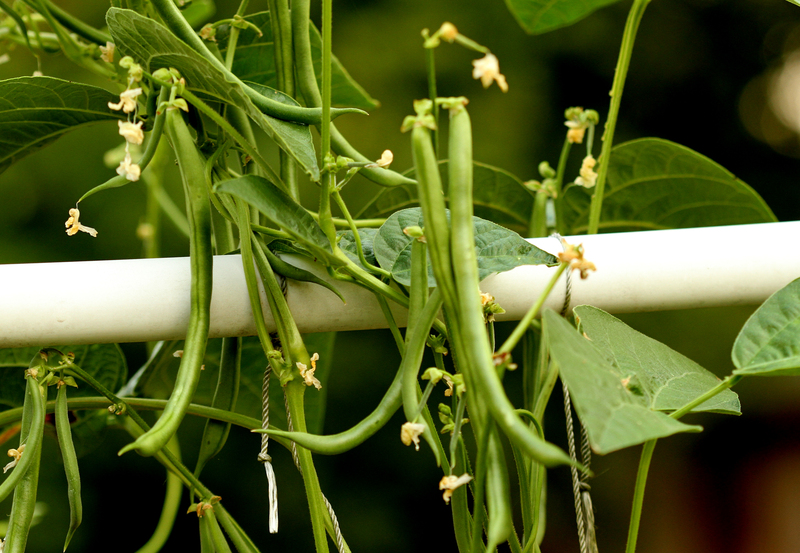 I’ve planted, harvested and eaten homegrown green beans for more than 4 decades….and I finally found my favorite! For all those years I planted bush green beans. 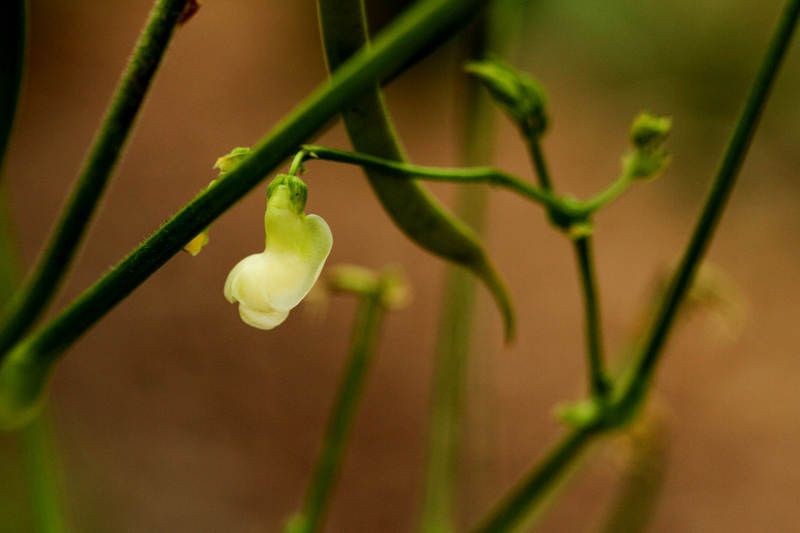 I liked fitting 9 in a square foot, I didn’t want to build something to support my beans and I liked the way most varieties I tried tasted….so why change, right? 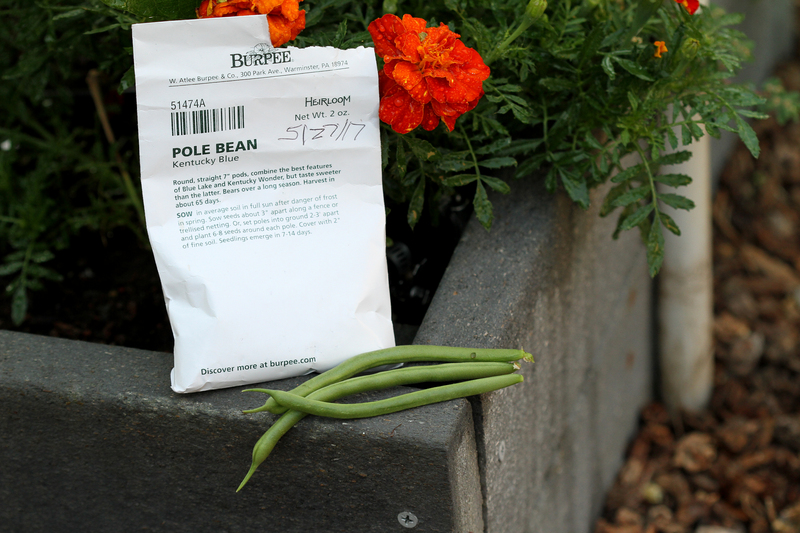 Well one way to change is to accidentally buy pole beans and then watch in amazement as your “bush” beans tangle and twist and flop over in a big mess! Checking the packet I realized what happened so I planted more seed, only this time in a bed with proper supports that I usually reserve for peas. I’m so glad I did! These were the best green beans ever! 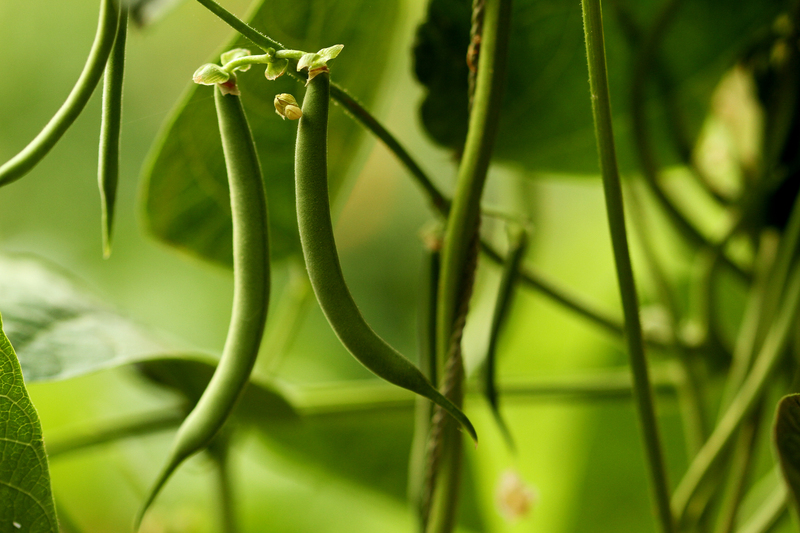 They produce straight, tender pods that actually stay tender even if you pick them when they’re a little too large. The flavor is a true, old fashioned green bean flavor! Perfect in my northern Calif. garden. My support system consists of PVC pipe strung with nylon string. It’s lasted 3 or 4 years so far and works very well. It’s tall enough for our peas but I’ll need to build one (who am I kidding…John will need to build one!) 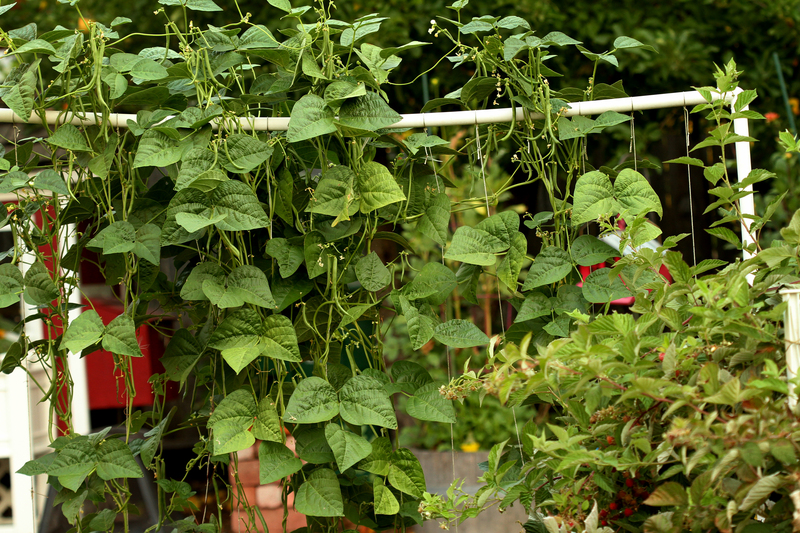 that is a little taller for these beans so they don’t tangle at the top! They produce daily! I only had 7 plants in the bed and I picked enough for a meal for two every few days for a few weeks! Full size, ready to pick beans are right next to tiny beans growing for the next weeks harvest! Next year I’ll plant seeds every week so new ones come in as old ones fade away! Who knew after all these years of trying new hybrids I’d end up an heirloom variety as the top for production, no disease, no bugs, straight and tender pods and great bean flavor! Kentucky Blue for me from now on! 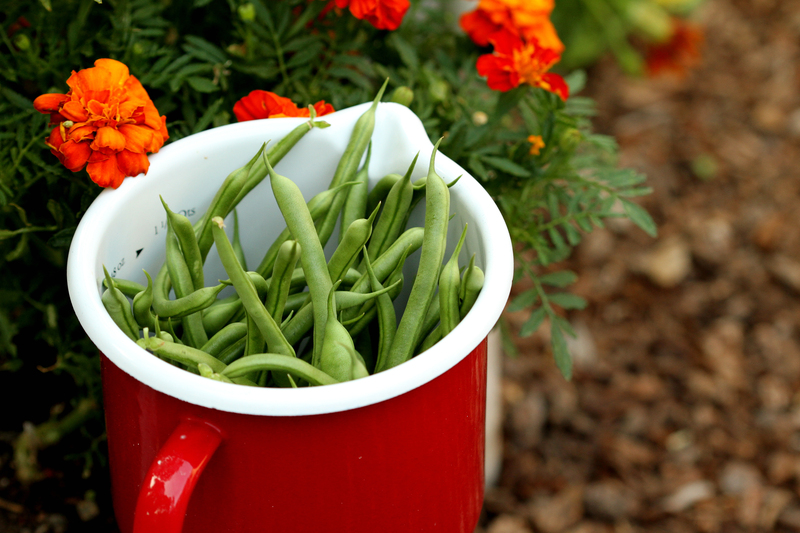 Oh, and can I just say that after all these decades of gardening I like standing straight to pick these beans instead of dragging out my garden stool to sit down and pick the bush beans…. :) I guess you could say they are “back friendly” too! 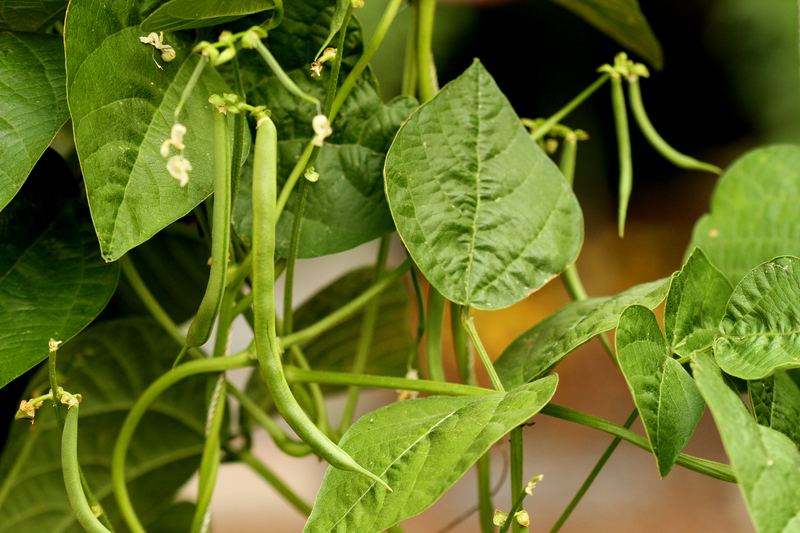 Did you fertilize your Kentucky Blue Pole Beans?